CAORC is pleased to announce the call for applications for the Kaplan Responsive Preservation Initiative. The program is designed to aid in the preservation of the cultural heritage resources associated with multiple archaeological sites in countries within American overseas research centers’ networks. For this application cycle, CAORC is actively encouraging proposals that seek to undertake emergency cultural heritage preservation and documentation efforts within Yemen. Such preservation efforts may include conservation interventions for architecture and artifacts, on-site salvage work, documentation campaigns, as well as key presentation and management strategies in select situational contexts. The Responsive Preservation Initiative emphasizes the need to record, preserve, consolidate, and protect heritage sites that are in immediate danger or under urgent and critical threat. The deadline for the next review of applications is June 1, 2018. A. Professionals of any nationality working to preserve archaeological sites and related CHRs in countries where permanent American overseas research centers’ networks exist are encouraged to apply. 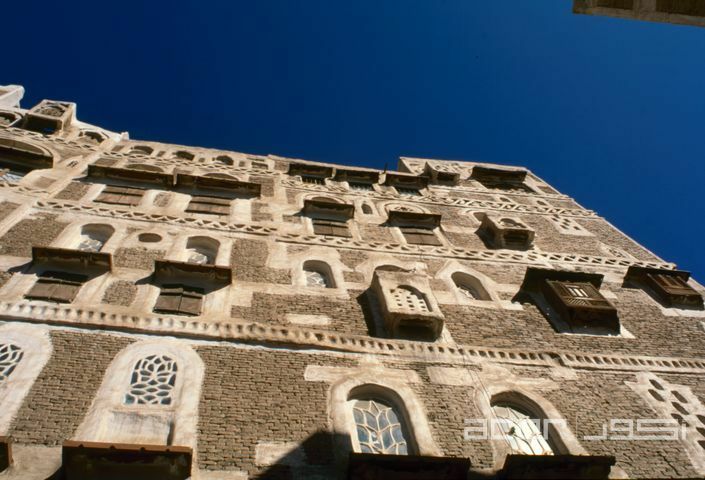 For this cycle, CAORC is especially seeking eligible applicants with proposals focused on the preservation of Yemeni cultural heritage, preferably with key support and involvement from local Yemeni stakeholders. Individuals or teams may apply for funding. Biographies for all team members must be included in the proposal. B. Proposed projects should address critical, emergency heritage preservation issues that need to be addressed quickly. C. Projects may propose a time-bound intervention in any one of the following countries: Algeria, Cyprus, Egypt, Greece, Iraq, Israel, Jordan, Libya, Morocco, the Palestinian Territories, Tunisia, Turkey, and Yemen; for this application cycle, projects based in Yemen will receive the highest priority. In no more than 2,500 words, please address the items below. Your project description must be in MS Word or PDF file format and uploaded as part of your online application. Proposals may be submitted in either English or Arabic. A. Brief overview description of the importance of this site/cultural heritage resource; statement of need(s) and an estimation of the urgency for the intervention(s) being proposed. C. Provide a list of the personnel who will implement the project; include full name(s), affiliation, title, project role/title, and email address. Include short statements for each about their experience, training, etc. D. Budget. The maximum grant award is $8,500 USD per project; however, projects with smaller budgets of between $2,000 and $3,000 USD are especially encouraged to apply. For projects with budgets above $8,500 USD, applicants must demonstrate how the additional, non-awarded amount will be funded. 2. Following the chart, please include short budget notes explaining your calculations and projections. Note especially if/how essential equipment and supplies will be obtained in-country. E. Provide a statement that indicates if/how this project is a local effort or will include local capacity-building and sustainability for the preservation interventions upon completion of the grant. F. Provide a description of the project’s documentation, publication, and/or interpretive/presentation strategies related to the proposed preservation efforts. G. Preference will be given to applicants who include written permission or permits necessary to undertake the work; if obtaining official permissions/permits is problematic, please provide a brief explanation and also explain under what authority or sanction the project will proceed. H. Within three weeks of completion of activity, submit a 500–1000 word summary written (in English or Arabic) for a popular, non-specialist audience that highlights the results of the project, along with photos and/or video detailing the work and the project’s impact. These materials may be used for promotional and reporting purposes. I. Submit a final report, within 3 months of the completion of activity. Final reports may be submitted in either English or Arabic. If you have questions regarding the Responsive Preservation Initiative for Cultural Heritage Resources, please contact CAORC via email (fellowships@caorc.org) or by phone (202-633-1599). *Above image courtesy The Jane Taylor Collection, ACOR Photo Archive. 1. Proposals may be read by specialists not specific to your project’s historical, cultural, and/or regional contexts. Please write the proposals with accessible language and in a manner that all reviewers can readily understand the need/impact/implementation of the proposed work. 2. 10 page limit. Please use a standard font, no smaller than 11pt for narrative text. 3. Narrative sections may be single-spaced. Bulleted sections are encouraged (10pt font size allowed for bullets). 4. Charts, photos, and other illustrative elements should be in the single PDF. Please place appropriately within the narrative. If included at the end instead, you must include call-outs in the text to the appropriate illustration. All illustrative elements must be captioned.